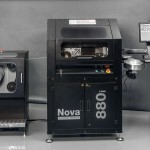 The Nova 880i is the top-of-the-range Nova system and is the highest speed UV laser wire marking system available on the market with performance better than the Nova 880. The Nova 880i is the UV laser wire marker of choice for ultra-high volume wire marking applications. Nova 880i wire markers can be configured either as a manual system with single or multistation dereelers for manual wire changeover and set-up; or alternatively as an automated system coupled with a range of new Nova automated wire handling options to maximise the productivity of the system. 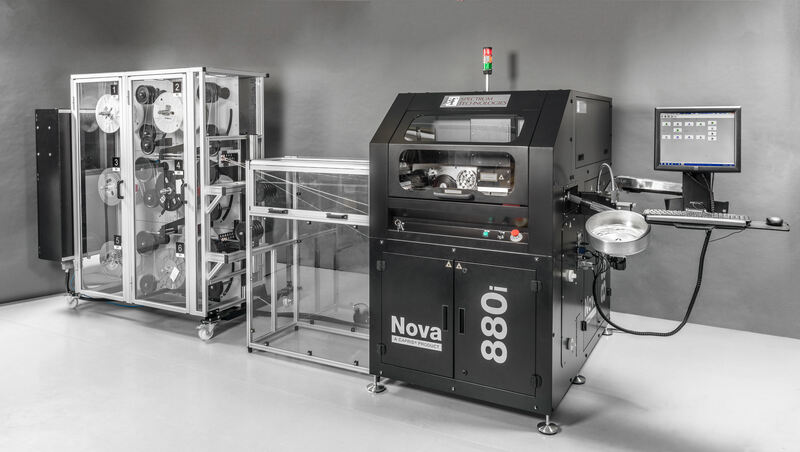 The automated Nova 880i includes an innovative high speed wire Auto Select and Loading (ASL) system and multi-station dereeling systems. These enable the system to be preloaded with up to 32 wires or cables, reducing the overall set up and wire changeover time to just a few seconds, allowing use of optimum manufacturing methods to maximise productivity. 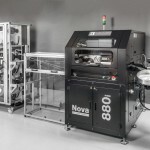 Maximum system performance and reliability – the Nova 880i is the fastest, highest performing, laser wire harness processing system in the world! It offers simplified maintenance with longer maintenance intervals. Mark flexibility and quality – these systems offer the ultimate in print flexibility with unlimited character sets, upper and lower case marking, variable font sizes, logos and linear and 2D machine readable code marking. 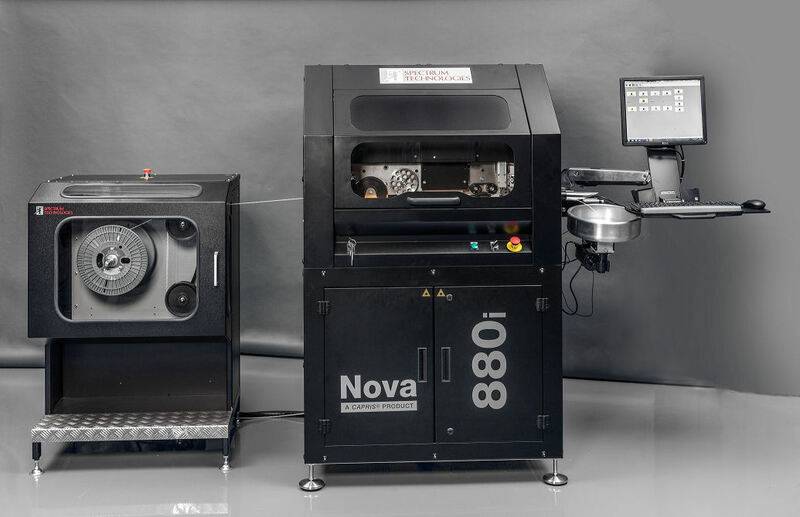 Increased capability – the Nova 800i series through a combination of software and hardware design provides the customer with the option of a wide range of capabilities from character marking, system monitoring and performance traceability.